A better word for Ron Paul supporters is sheep. That’s right. The same insult you launch at anyone who opposes your views is quite appropriate to describe your cult. Now, I will admit that I entertained the idea of considering Ron Paul as an alternative to voting for Obama, especially since his silence after the abuses suffered by the Occupy protesters, but it was you, his followers that have so turned me off to that idea that I wonder why I even contemplated it. 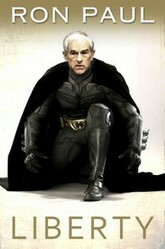 Is Ron Paul Really a Hero? The fact that you, his sheep, have raised him to super hero status is, well, there is no word to describe it other than sickening. 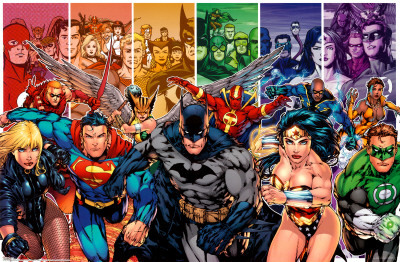 The posters of him as the Dark Knight or a Jedi are insults to Batman and Star Wars fans everywhere, so please, stop. The thing is, in doing all these childish, immature things your right to be taken seriously has been revoked. You don’t deserve that privilege anymore when your response to any criticism is similar to what this Ron Paul sheeple left as a comment on another article about Ron Paul. It’s okay Henk, I corrected your misspelled words for the sake of my article, and I’ve included the link to that article below. If this is the best response you can muster to the mountains of evidence that Ron Paul is not only a racist but a bigot as well, you deserve the title of sheeple. I’m not even going to go into Ron Paul’s record of racism and bigotry, because the point of this piece is that your response to it is to call the person making the criticism a sheep. You don’t offer some sort of proof to make your point. Instead, like the immature children that you are, you throw insults. I’ve had Ron Paul sheeple even accuse me of believing everything I hear, and that I was the problem. Believing everything I hear? I’m sorry, I thought hearing racism and bigotry from the source was about as close to the truth as you can get. "But Let's Move On, People"
In the clip above, Ron Paul conveniently says the newsletters and any comments he is accused of saying are in the past and it’s time to move on. No, sir, you do not get to just move on. You cannot make statements like that and then conveniently refuse to take responsibility for them, or, if it is true that he did not make them, explain who did. The fact that his name is on racist newsletters at all is cause for concern when deciding if this man is qualified to run our country. It is a very valid concern and the responses from Ron Paul sheeple are the same as his—move on. I’m sorry, but that does not inspire confidence in a voter like me. So grow up kids. Stop blaming the sane people for questioning this man’s credentials. The tragedy here is that YOU do not question them more. You can tell by the "thumbs up", and by the "Likes", and the shares that who ever wrote this is full of crap! The video clip has even been removed for enfringment. Viva la revolucion! Because freedom is popular. Everyone wants their own! Everyone wants freedom for themselves. Why can not others have it also? I am ashamed of all of the so called Americans who have nothing intellectual to say and do not have a clue what Ron Paul is all about because they don't know what The Constitution is about or The Bill of Rights is about or how our government even works. How could so many people be so wrong about someone so RIGHT. If you do not like what Ron Paul says, then you need to wake up and do some actual investigative research about the real adult issues. Making fun of kids who want a hero in government that DOES NOT LIE is just shameful. Many have been thinking just as you mentioned in the beginning, and many now feel as you do, oh this election. I've already summed up my vote, my mind is opened but I doubt it will be changed with what we have to work with. Just Saying! I dismissed him the moment he tried to mark up his doctoral role despite being a young earth creationist. Incredible! I don't know about that. I think he's just another manipulative politician looking for a win and a lot of people are blinded by his war on government to see him for what he is. Don't you think it's time for the old man to rest and enjoy stress free life? Looking at Ron Paul seems like America is tired. Just saying. Well, thank you Dahlia! Mission accomplished, then. My husband would pass out if he saw Ron Paul in a Jedi robe. That said, you've angered some Paul loyalists, too, despite the Jedi pictures. Congratulations! Man look at that racist. Jimmy and Dean, thank you for proving my point. The United Kingdom survived the independence referendum, but major constitutional questions are rising.